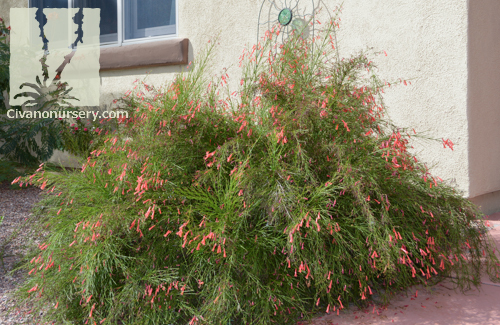 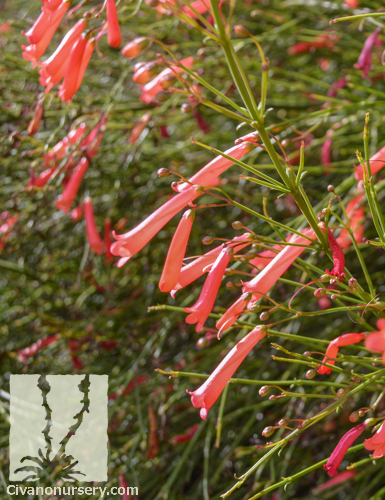 Although this show-stopping beauty is known as firecracker plant to some, we feel that the common name “coral fountain” is much more descriptive of the way this plant’s branches arch outwards from its center and cascade gracefully to the ground. 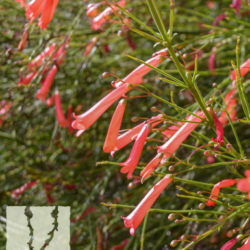 Layers upon layers of coral red flowers seem to drip from the tips of each branch, creating a stunning effect in tall planters and hanging baskets. 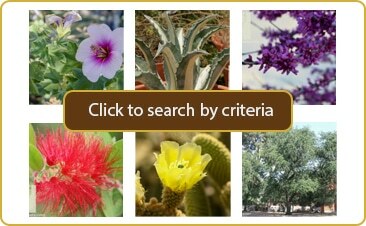 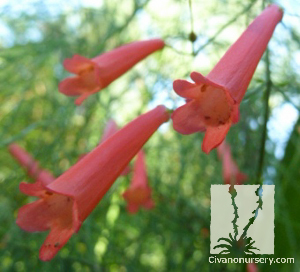 These abundant nectar-filled blooms keep the hummingbirds and butterflies endlessly busy from spring through fall. 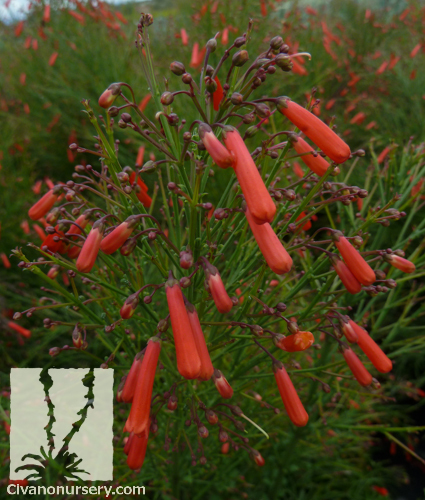 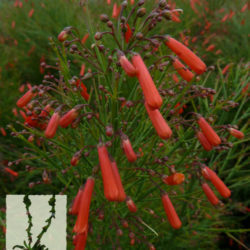 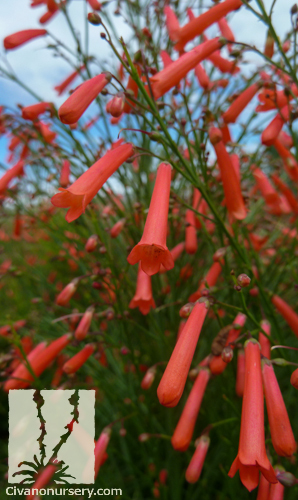 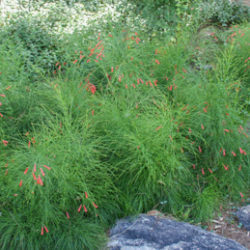 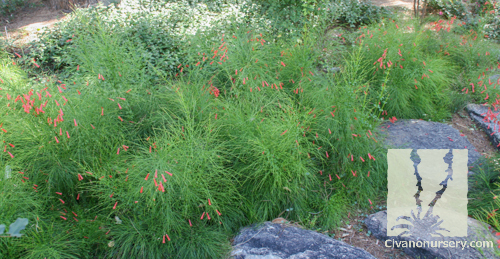 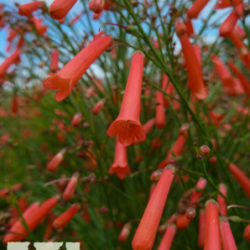 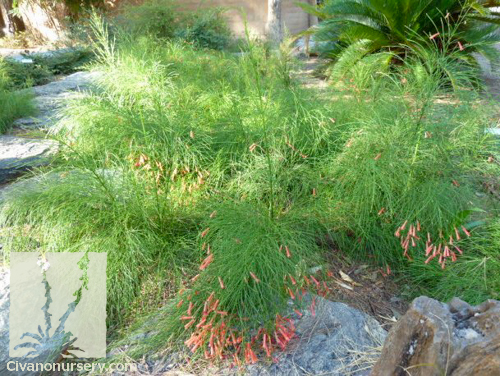 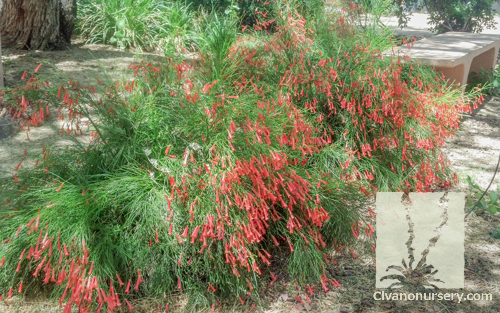 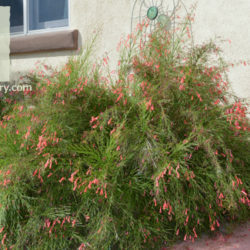 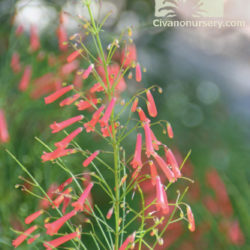 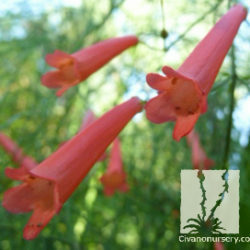 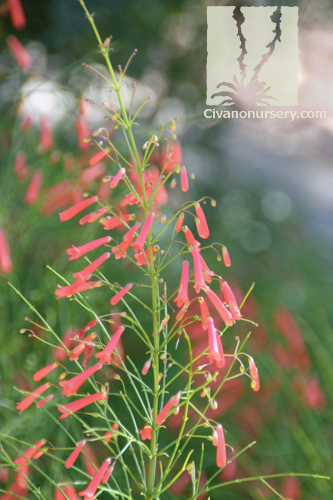 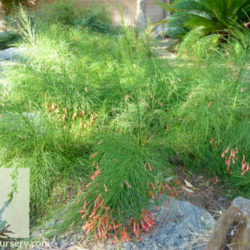 Coral fountain is reminiscent of a grass, but in our climate it is a perennial shrub with tiny, inconspicuous leaflets that drop at the first sign of cooler weather. 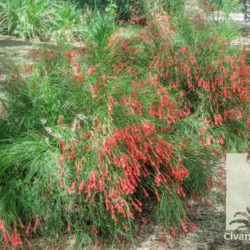 Branches die back when temperatures fall below 25°F to give this plant a short winter rest, but new growth resumes quickly every spring.